Happy New Years everybody! I hope everyone had a great Christmas and New Year's Eve. I know it's a bit late to be doing one fo these posts but I'm doing it anyway because, if you're like me, you like to read and watch 'What I got for Christmas' posts/videos, you won't mind that this came in a little late. 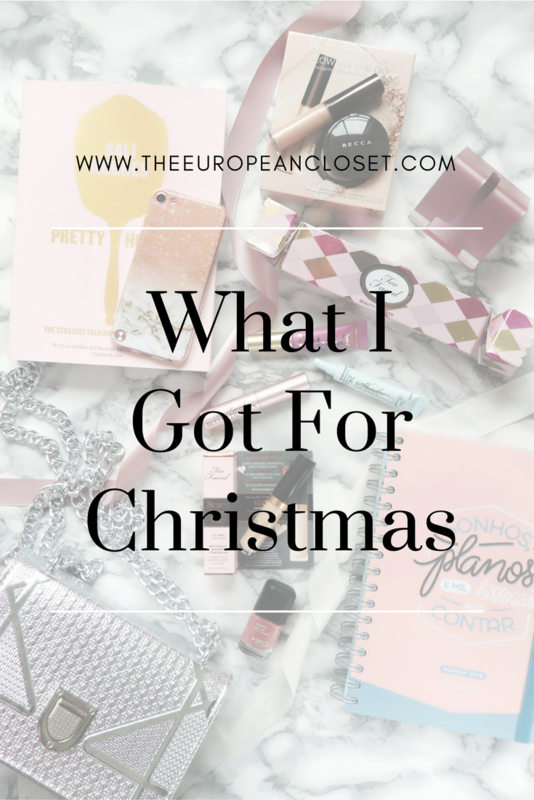 One of the reasons why I didn't write this post earlier was because I got money and a Sephora gift card as gifts and I wanted to check out the sales and buy a few things and also because I was waiting for a few things I ordered to arrive. The thing that got me the most excited this Christmas was the Mr Wonderful Agenda I got. I love Mr, Wonderful and if you've been following me for a while, you'll know I've been using their agendas for two years now. In a bit of a selfish wave (not really because I think we should reward ourselves but anyway), I got myself this marble and glitter Ipod Case from Ebay and also a pink Phone Stand to keep on my desk. These next things weren't really Christmas gifts but they arrived a few days before Christmas so I thought I'd include them here. Zaful was kind enough to send me some amazing things. Firstly they sent me this Silver Crossbody Bag which is really similar to the Dior Diorama bag. I wore this bag on Christmas day and got many compliments on it. It's small and cute, but your essentials fit nicely inside. Keeping with the fashion theme, I got another piece of outerwear. This time, it's a grey oversized coat from Belle Époque Boutique. This coat is so huge two people can easily fit inside. I also received a pair of military style boots that I've been dying to get my hands on. I love the pearl detail on the front as I feel like it gives the boots a feminine touch. Finally, I got a small frame with a picture of my Godson, some Minnie Mouse Slippers from Primark and some Fuzzy Socks from Oysho. What was your favourite Christmas gift?